What Amazing Day We Had On Sunday, September 17th For Our First Inaugural Women Ride IB! On our very first women focused, but not exclusive, bike ride and festival, nearly 100 people arrived at a reasonable hour to enjoy a day of bike lanes, dirt, fun, friendship, and new experiences together. Rolling out of Bikeway Village in Imperial Beach, first to roll was the road ride group, lead by our super talented LCI Pauline with a few other LCI's dotted through the group to keep all our riders safe. A meandering ride along the Bayshore Bikeway north to Hub+Spoke Cycleworks in National City showed our many new-to-cycling riders, and those that had never been there before the Bayshore Bikeway and its Southbay connection up to the city. Our roadies had a blast, rolling through Imperial Beach, Chula Vista, and National City on the 15 mile ride, and some even went back out for a second go around! Next was the mountain bikers turn to roll out, and roll out they did! Lead by San Diego Mountain Biking Association's Executive Director Susie Murphy and a huge contingent of volunteer mountain bike sweeps, the knobby tires headed east toward the dirt in Otay Valley Regional Park. A shorter 10 mile ride along the OVRP trail lead to smiles, woohoo's and a whole lot of happy faces! The photos from the ride are stunning and can be seen here. Many thanks to Jose Galaz for not only volunteering as support on the ride, but for also taking these incredible photos! Once back at Bikeway Village our riders got to partake in Food Truck cuisine, a wine and beer tasting, as well as enjoy the many women owned, run, and focused businesses and organizations that are located here in San Diego County. 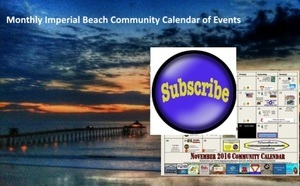 SDCBC is so grateful that so many new and old friends, came out to Imperial Beach to enjoy not only the gorgeous day, but also a a women-focused activity to engage more people in the community to get outside and create the kind of bonds that only women can! But of course, we don't want this wheel to stop rolling!! So the San Diego County Bicycle Coalition, is proud to host Women & Bicycles: San Diego County, CA an advocacy group for women who want to get into cycling, have questions, want to share experiences, or simply just want to engage with other like-minded women in the area. This is not a ride group, this is an engagement group, somewhere to feel safe having the conversations, and asking and answering the sorts of questions that only women can understand. What are you doing on Sunday, October 29th from 10am - 3pm? Why don't you come out with us for the 5th annual CicloSDias... and it is DOWNTOWN!